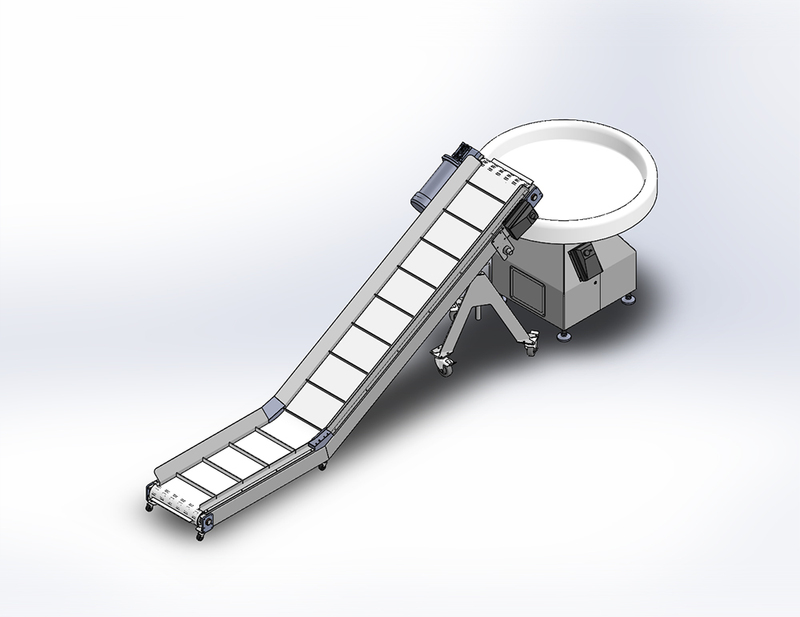 ormer Fab designs and fabricates an extensive variety of custom sanitary bag conveyors for food packaging lines. 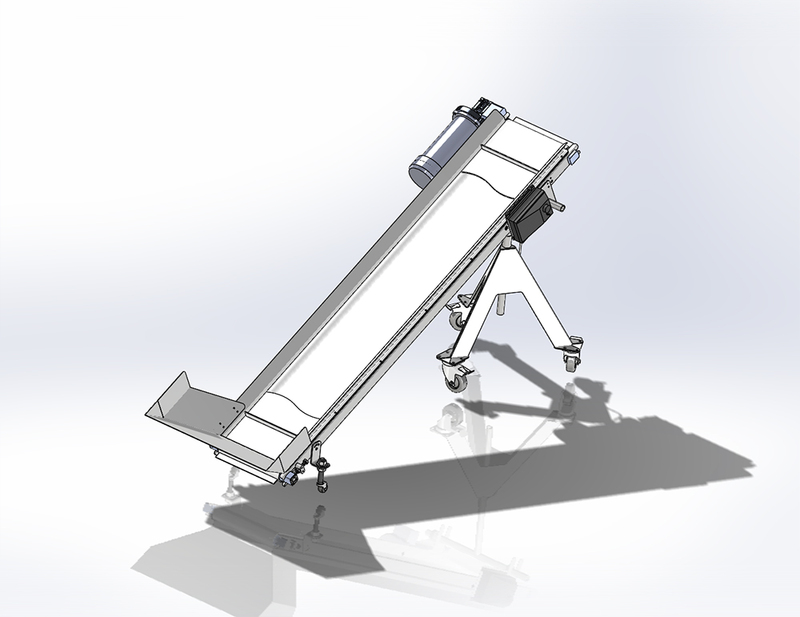 Designed to enhance the effectiveness of the packaging process, these pack off conveyors provide a simple solution to transporting boxes and bags between workstations and equipment. 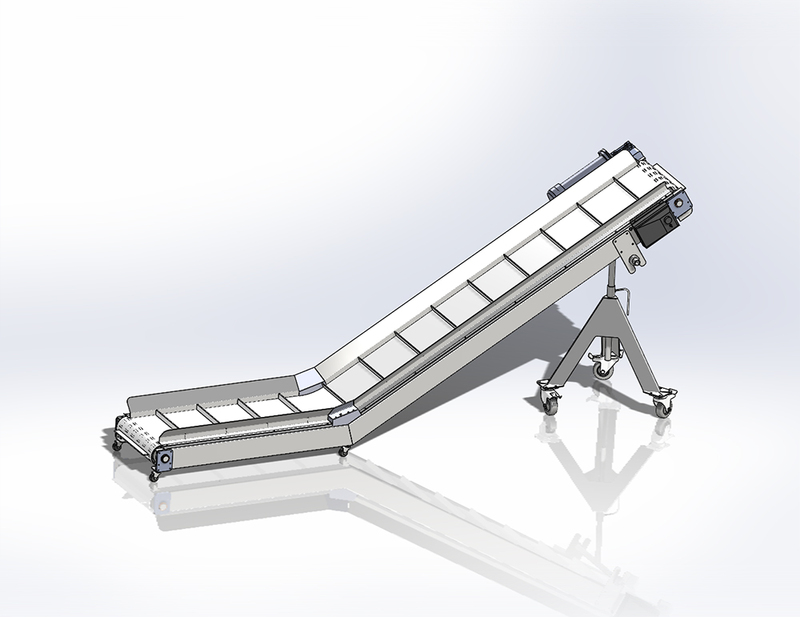 Our packaging conveyors can be custom designed to achieve the requirements of your precise application and are outfitted with a variety of safety, sanitation, sorting, diverting, and mobility selections for the perfect solution you require. Designed with operator well being in mind, all of these systems are fully adaptable for operator comfort, thus reducing labor requirements normally associated with case packing. Built of high grade stainless steel with continuous TIG welds to prevent bacteria growth and open framework, these packaging conveyors exceed all AMI Sanitary Design Requirements for use in the food processing industry and are tough enough to tolerate the most demanding use. 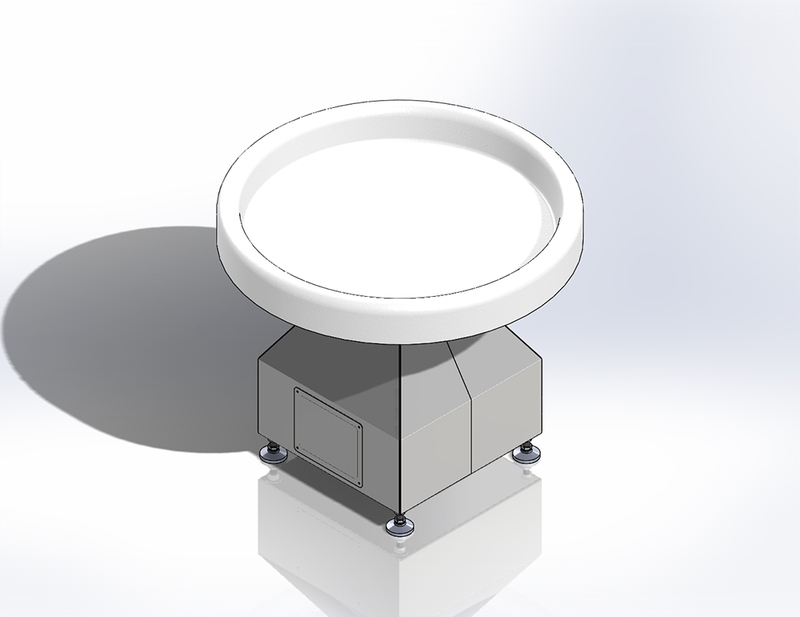 Also consider our stainless steel pack off tables for use in combination with our bag conveyors. Our formers provide precise film tracking, balance, and high product transfer speed. Our proprietary Duralyte formers are up to 40% lighter than our traditional formers, but just as durable. 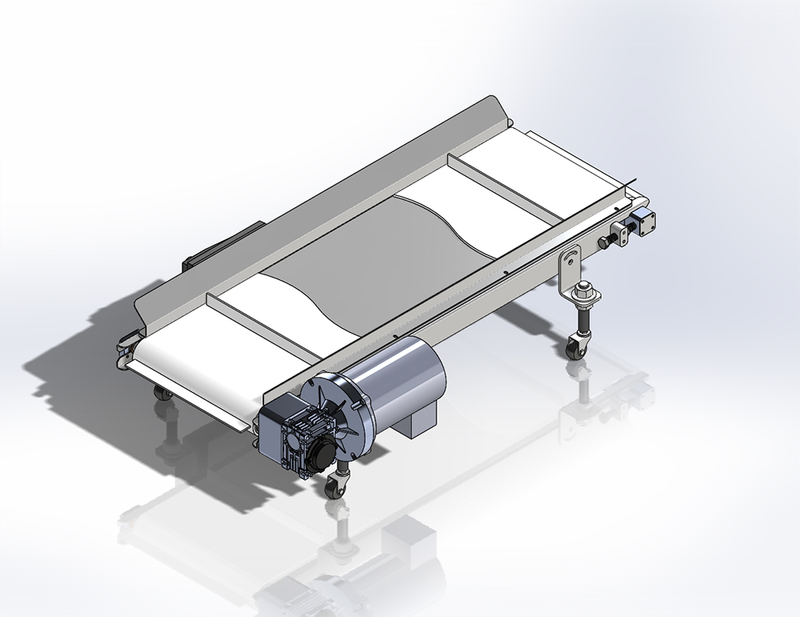 These forming assemblies are designed on our 3D software program that allows us to remove material in strategic locations without compromising rigidity. We are proud to announce the completion of our 30,000-square-foot facility for design, development and product testing at the Former Fab Business Park at 2101 Former Fab Drive on five acres in Pearland, Texas. This enlarged footprint has superb access and allows us to continue growing in step with our customers and accommodate our expanding support role capabilities.